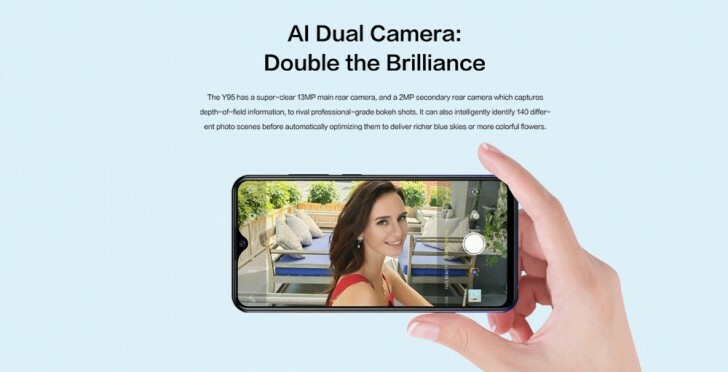 Just a day after the massive vivo Y95 leak, the real thing went official in the Philippines. It’s essentially the newly released China-only Y93 smartphone with a rear-mounted fingerprint scanner. The notched display features a standard IPS panel with 720 x 1520 pixel resolution that fits in a 6.22-inch diagonal. Qualcomm’s new low-end 12nm chipset is on board, the Snapdragon 439, with 4GB of RAM and 64GB of internal storage that can be expanded via microSD cards. The back panel houses a dual-camera setup with 13MP main shooter and a 2MP secondary one for depth sensing while the selfie camera on the waterdrop-styled notch is 20MP. The company advertises various AI-enhanced features including a Night Mode and face unlock. 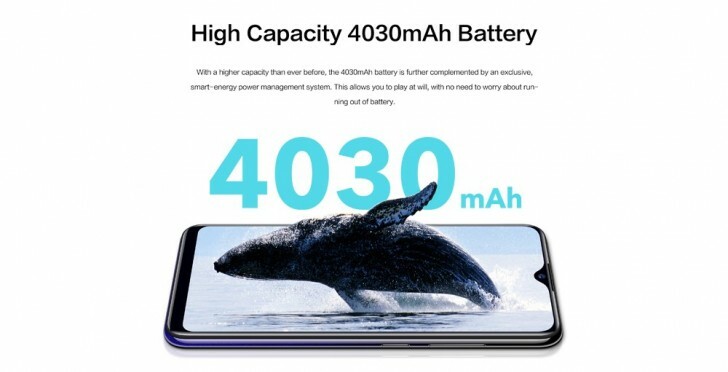 A generous 4,030 mAh battery keeps the lights on and runs Android 8.1 Oreo out of the box with vivo’s Funtouch OS 4.5 on top. 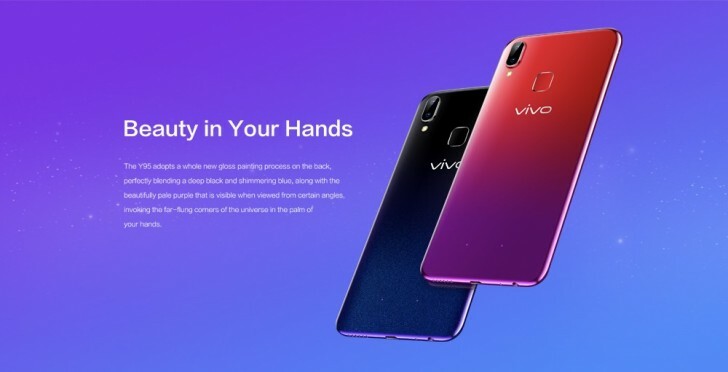 For the time being, we don’t know if the vivo Y95 will make it outside of the Philippines, but we do know the price – PHP 13,999 ($263) and it’s offered in Starry Black and Aurora Red gradient colors.